​in ministry geared just for their age groups. 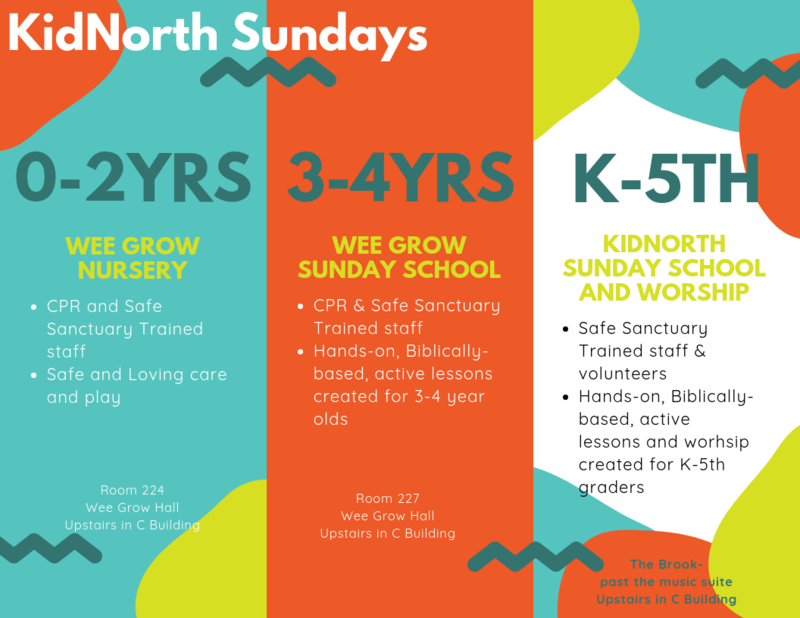 At Northbrook, your children are our number one priority. Our church provides the highest quality care and instruction. Each of our staff and volunteers is Safe Sanctuary certified to ensure the safety and security of each and every child. Below you will find more information about what we do and when we do it! ​​If you have any questions, please contact Leslie Bowers at lbowers@northbrookumc.com. ​For more up-to-date information, sign up for our weekly newsletter. All children K-5th grade are invited to join us for Grace Notes choir in The Brook Wednesday nights from 6-7 p.m.
We will learn songs for worship, music basics, make take-home instruments, work on chimes and bells, and work on a Christmas musical!